Thurs., Fri., Sat. & Sun. Note: For those that are flying in and out of Vancouver for the convention please note that programming and in particular autographing may run into the evening on Sunday (it depends on guest scheduling which we do not do until very close to the convention). Additionally we are usually able to return photo ops taken on Sunday later in the evening. So, if all of this is important to you we suggest flying out of Vancouver on Monday. Check out some great pictures from our 2009 Vancouver event! Click Here! and for the full photo album click here. 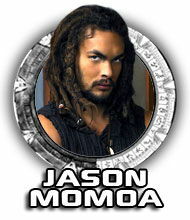 Executive Producer of Stargate Universe, Atlantis & Sanctuary and co-Executive Producer of SG1. Appearing Sunday and signing autographs on a complimentary basis for all. 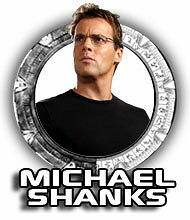 Make sure to be on our STARGATE SG-1 / ATLANTIS e-mail newsletter list to get announcements about STARGATE SG-1 / ATLANTIS events! 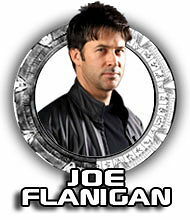 Look out for a VERY entertaining evening of fun starring some of our favorite Stargate celebrities! 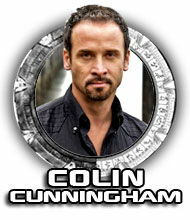 Scheduled for Friday Night, stars signed up so far include: JASON MOMOA, JAMES BAMFORD, COLIN CUNNINGHAM. This event is included on a complimentary basis for our GOLD and PREFERRED WEEKEND Patrons, for others, tickets are available for $35 general admission (seating in the rear of the theatre behind our gold and preferred weekend patrons). THE STARGATE LOCATION TOURS WITH LYNN SMITH! Each year we are proud to present an exclusive offering that is really special: bus tours through Vancouver hosted by Lynn Smith who served as Location Manager on 132 episodes of Stargate SG-1. These tours, narrated by Lynn, leave in a comfortable bus at 9am from the hotel lobby and return approximately 5pm. 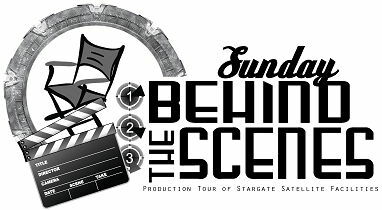 Get an inside look at the filming of Stargate SG-1 and enjoy a wonderful day with fellow fans. Actual locations visited are to be determined by Lynn and will be announced soon but we are taking reservations now (limited seating available of course) for both Wednesday (April 14, 2010) and Monday (April 19, 2010). Complimentary lunch will be served as well. 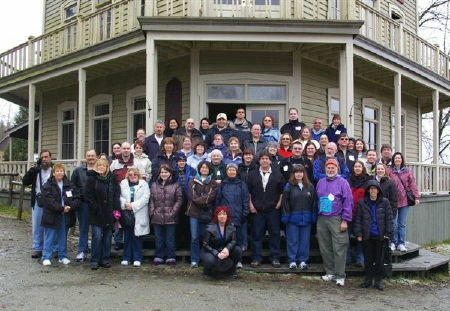 Here is a fantastic photo of the wonderful fans who took the location tour offered Wednesday prior to the 2009 convention. This is at Bordertown! In response to requests from the fans who went on the location tours, here is the list of locations seen and the episodes of the show the sites were used for. Simply stated this opportunity is unique in the annals of fan history and an incredible bonus for all attending and taking part. 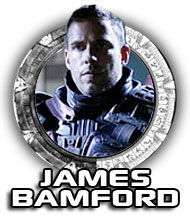 Courtesy of Stargate Production, the Producers and MGM Television, our 2010 attendees will have the opportunity to take an escorted tour through BRIDGE STUDIOS' standing Stargate sets! BRIDGE STUDIOS (historic home of film and television projects and formerly a steel foundry where the Golden Gate Bridge was built) are a short trip (about 12 minutes) from our hotel and participants will be met at the lobby door by our beautiful buses which will take us all to and from the studios. Still photography will be allowed! (Thank you MGM and SG Production!) 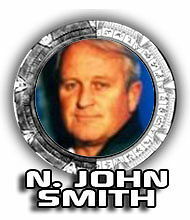 We are honored to announce that Executive Producer JOHN SMITH will be returning as one of our tour conductors (thank you John)! There are up to five tour groups, each limited in size to allow comfortable group numbers. Available tour slots are: 6:30am meet in lobby, leave for tour 6:45 am sharp... 8:00 am with a 8:15 am sharp departure... 9:30 am with a 9:45 am sharp departure... 11am with a 11:15 am sharp departure... and 12:30 pm with a 12:45 pm sharp departure. Tour slots will be granted during pre-registration and then anytime up until close of registration Friday. If you can not be present at pre- registration or Thursday or Friday's convention, please write to sponsor@creationent.com at least two weeks prior to the event with your request for a tour time and we will get back to you. As part of our Saturday Bridge Studios tour opportunity we are including a professional photo of you on set in a "cool" location to be determined. Because the sets at Bridge are fluctuating continually, we can not guarantee access to any particular set at the time of this writing. As we get closer to the convention we will try to have an update about what our tour participants will see. PLEASE NOTE: The Saturday escorted tours are complimentary parts of Gold (now on sale) and Preferred Weekend Packages. If you have one of these packages it is not necessary to purchase this separately. Please note that if the Saturday Tour is included in your ticket packages you will select your departure times at the convention on the days preceding at registration. These times above are JUST for those buying the tour separately. Participants should visit this site approximately two weeks before the convention to download a waiver form that will be required to board the buses. It is not necessary for the Wednesday or Monday Location Tour, just the SATURDAY and SUNDAY tours. Please have yours printed out and signed before boarding the bus. If you forget to bring it we will have copies at the departure. Tour visits involve going to actual work sites that may expose visitors to dust, latex, or other enviromental allergens. Those with respiratory issues and/or potential allergies should consider this concern before booking tours. Thanks! Courtesy of our amazing friends at Stargate Production, the Producers and MGM Television we are proud to offer this amazing opportunity: Go BEHIND the Gate with a fascinating visit to the Workshops of Stargate: SG1, Stargate: Atlantis, and SG: Universe... This 90 minute tour features visits to several of the work areas used by SG Production to create their amazing shows and films. Visits include looks at woodworking, metal shop, prop fabrication, 3D modeling, set construction, costume/wardrobe design and lockup, painting/processing/finishing, and storage areas where you might find anything from a Wraith Throne to a Goa'uld God Monolith to a full sized Puddle Jumper! Conducted by Executive Producer N. John Smith, you never know what things you may see and what little known facts you may hear during this wonderful tour to several complexes. Transportation in comfortable bus coaches to/from the workshops from the Hilton Metrotown Lobby is provided. EXCLUSIVE! 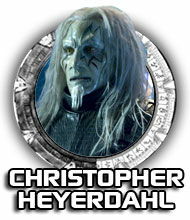 PRIVATE WINE AND CHEESE PARTIES WITH YOUR FAVE STARGATE CELEBRITIES! These events are an awesome exclusive for a small group of lucky fans (usually ten or under). Here you get up close and personal with Stargate stars and the response to these new events has been fantastic! 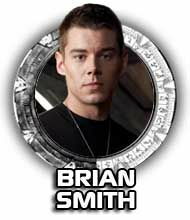 Bidding will be held at the Creation auction site and announcements of these auctions will be sent to all those on our free Stargate e-mail list. THANKS! Here is a one hour in-depth seminar for those that really want to learn more about the art of stunts. More info to come! Rules: one music video about STARGATE SG-1 / ATLANTIS may be submitted on DVD only (please no computer-based media like CD accepted). PLEASE USE ONLY NTSC FORMAT FOR YOUR DVD. Entries are judged on the following criteria: video quality, audio quality, editing quality, inventiveness, song selection, and originality. Humorous submissions are encouraged. Entries can not be returned, and person submitting entry is granting Creation the right to play this entry in perpetuity at Creation events worldwide and/or on line at the Creation website(s). Creation does not sell music videos so your entry will never be sold as a commercial product, just presented at our events/on line. Winners will receive a $100 gift certificate good for Creation products. Winners will be announced and certificates awarded on site; if you are not present we will mail the certificate to you so be sure to include your return address, phone number and e-mail. You may email our offices at to confirm receipt of your entry but we do not announce winners until the event. All entries are due at Creation offices by March 24th with no exceptions. Thanks and good luck! Another way that fans can show off their love of STARGATE SG-1 and ATLANTIS creatively is by entering our famous themed CENTERPIECE CONTEST! This event takes place at our DESSERT PARTY (Saturday Evening) and is for Gold Members attending the event this weekend! Create the very best centerpiece that touches the hearts of our judges and you might just win a special $250 Gift Certificate! Just be "GOLD" and bring your entry to the party and that's all it takes to enter! On Saturday come dressed as your favorite Stargate character (or make up your own!) and vie for audience applause and great prizes including a $250 gift certificate for the VERY BEST costume. Good Luck to all! Please place this banner at your site to help spread the word! GOLD WEEKEND ADMISSION PACKAGES - SOLD OUT! After the sell-out of our GOLD WEEKEND PACKAGES (JANUARY 8, 2010), the Preferred Weekend Packages are the best way to attend the entire convention. Last year these packages also sold out long before the convention so PLEASE make your plans early. Not only do you get better seating, but you get yourself set for a marvelous weekend filled with great entertainment and fellow fans. Other fandoms only dream about on-set tours and thanks to the amazing folks at Stargate we all have the chance to get to do the impossible once again! 1) Reserved seatings for daytime convention main auditorium events ALL FOUR DAYS. These seatings are located behind or to the sides of the now sold out Gold Weekend Package patrons. 2) THE CELEBRITY CABARET (held Friday Night of the weekend) Wonderfully talented performers are putting together a big LIVE show that will knock your socks off and we're delighted to present it to our dedicated audience. It is gonna be awesome and you keep your same seats! 3) Complimentary autographs from attending celebrities. These autographs have a value of $150 alone, but for the purposes of this package they are priced at $110 and included on a complimentary basis! 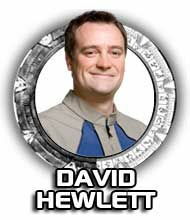 Tentatively the following stars will sign for you FREE: MICHAEL SHANKS, JASON MOMOA, DAVID HEWLETT, COLIN CUNNINGHAM, JAMES BAMFORD, BRIAN J. SMITH, RACHEL LUTTRELL and JOE FLANIGAN. 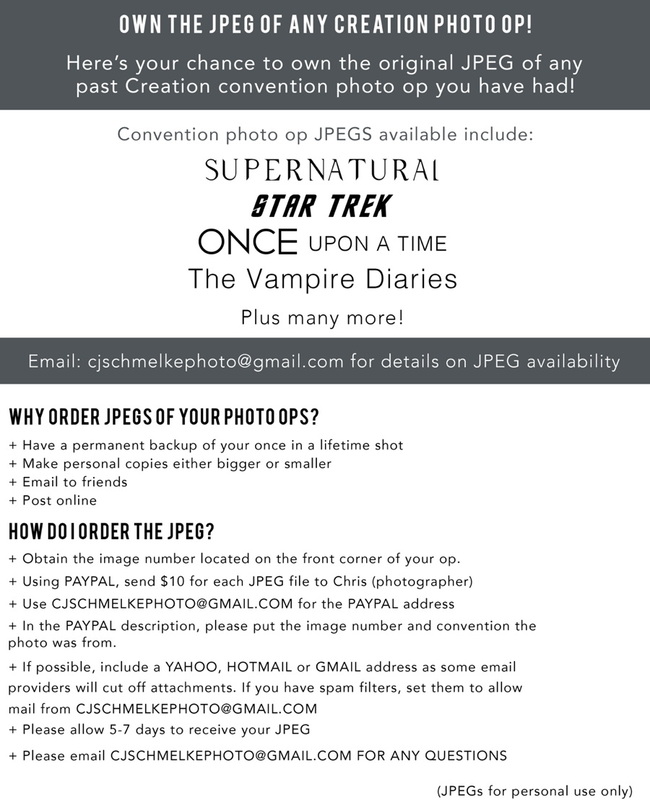 (You will need to supply an item to sign, either bringing something from home or purchasing a souvenir photo or product at the convention) This list is tentative and subject to change. NOTE: on occasion there are a few guests whose signatures are not part of our weekend packages since they are compensated through sales of autographs. These tickets can be purchased below at the autograph section and your support of these appearances is greatly appreciated and helps us have a wider array of celebrities at the convention. 5) Fantastic complimentary STARGATE gift done just for this Vancouver convention. 6) Wristbands for immediate entrance without waiting on line after initial registration. 7) Pre-Registration for Preferred Weekend Patrons, the night before the opening. Not a necessity but a convenience if you'd like to be there a day early to get set with your credentials, wristbands, ticketing, and also get first crack at the vendors area. 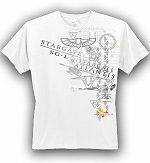 8) COMPLIMENTARY ESCORTED TOUR & ROUNDTRIP BUS TO THE STARGATE SG-1 & STARGATE ATLANTIS SETS! THIS TOUR IS ON SATURDAY AS DESCRIBED ABOVE. Participants should download the waiver at this site prior to the convention which must be signed prior to boarding the bus for ANY off-site set Tours. Please have yours printed out and signed before boarding the bus. If you forget to bring it we will have copies at the departure. 9) Professionally shot 8 by 10 color photo of you on the STARGATE sets: we'll have a very cool setting for you! Another Creation Vancouver tradition and this year we are working on something that is VERY cool (in the past it has been candid shots in front of the "gates" and in the puddle jumper, so we have a lot to live up to and we're working it for you! These weekend packages, available in limited number, offer a great opportunity to folks who want to attend the convention with a reserved seat but are not interested in doing the set tours or autographing. It is a wonderful economical way to come and enjoy the amazing guest stars, on-stage events, prop/costume display, and vendors at the convention! Your seating will be located behind or to the sides of our Gold and Preferred Weekend Patrons. Note that this package includes reserved seating only for the daytime conventions (no evening events) for all FOUR days and you can also participate in pre-registration. These packages do not include autographs which can be purchased separately below. Daily Preferred and General Admission Tickets will be offered at a later date. Autograph and Photo Op Tickets do not include admission to the convention, and you must have an admission ticket or package to get autographs or photo ops. Here's the chance to receive in-person autographs from your favorite sci-fi celebrities. Note that if you have a particular autograph as part of your ticket package and want a 2nd (or more) signatures you can have all your signing done at once when you first go up to the celebrity. Autographs are done in a non-rushed comfortable manner. Autographs Note: Patrons must bring an item for celebrities to sign. You can bring something from home or purchase a photo or other collectible in the vendors room. Please feel free to purchase as many autograph tickets of a particular celebrity as you'd like. Guests appear ONE day of the convention, so therefore their autographing and/or photo ops take place that day, except in VERY rare occasions which will be noted. If you are not attending all days of the convention it is wise to wait until specific days of appearance are announced before purchasing autographs or photo ops. You must have an admission ticket to the convention to get autographs or photo ops. What's a PHOTO OP like? Due to security considerations and guest concerns we can no longer facilitate the giving of gifts to guests at the photo op sessions. We will be happy to accept gifts for our celebrity guests after 3pm daily at registration and we will gather them and make sure the guests get them. Please note that because guests usually travel by plane they are unable to take gifts home with them. We hope you understand the security issues involved. Thank you! (Saturday) First time ever, limited availability! Special convention rates beginning at $156 Canadian per night are available for our attendees. CLICK HERE TO MAKE YOUR RESERVATION ONLINE! A complete schedule will be posted a few days before the event.